The Nevada Revised Statutes (NRS) provide explicit laws and penalties for the trafficking of controlled substances in the state. For flunitrazepam, gamma-hydroxybutyrate, and schedule I substances other than marijuana (NRS 453.3385), trafficking of 4 or more ounces can range from a category B felony to a category A felony. The sentence can include a prison term ranging from one year or more, including 25 to life. The individual could also be fined up to $500,000. Drug trafficking of 100 or more pounds of marijuana (NRS 453.339) is a category C felony to a category A felony, the most severe sentence for which involves five years to life in prison and a fine of up to $200,000. For trafficking in schedule II substances (NRS 453.3395) the penalties are very similar, but with a possible fine of up to $250,000. In order to prosecute such a case, there must be adequate proof that the alleged offender was in possession of the drug and was transporting it to another location. If you have been wrongfully accused, do not hesitate to hire a skilled Las Vegas criminal defense attorney from our firm to help you fight your wrongful charges. 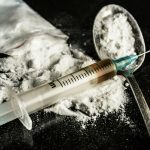 In Nevada, drug trafficking carries some of the harshest penalties that exist for drug related crimes, and trafficking charges are considered when large amounts of drugs are found in a person’s possession. Drug trafficking differs from drug sale in that drug trafficking must involve large quantities of controlled substances, while drug sale charges may involve notably smaller amounts of the substance at hand. Schedule 1 drug trafficking charges will carry the harshest penalties, particularly when great amounts of drugs are found or if the person being charged has previous drug related convictions on their criminal record. Controlled substances are classed into different categories in the city of Las Vegas based on their medical uses and likelihood for addiction. More dangerous or addictive drugs are placed at the top of the scheduling list with the less dangerous drugs being scheduled at the bottom of the list, and the more dangerous a drug is considered to be the harsher the punishments will be in terms of trafficking charges. Schedule 1 drugs are drugs with no medically accepted use and a high likelihood for dangerous addiction. Some drugs that are considered to be in the schedule 1 category are heroin, acid, ecstasy, crystal meth, peyote, PCP, and GHB. Schedule 2 drugs are considered to be less dangerous than schedule 1 drugs, but still with a high likelihood for addiction and a possible medical use. Some schedule 2 drugs will include cocaine, opium, oxycontin, ritalin, morphine, dilaudid, or vicodin. When these drugs are medically prescribed, they are often observed closely by physicians as they are known for abuse or addiction in those who take them. Schedule 3 drugs are considered less addictive than schedule 1 or 2 drugs, and many have an accepted medical use. Some schedule 3 drugs will include testosterone, anabolic steroids, codeine, and ketamine. Schedule 4 and 5 drugs are considered to be the least dangerous in terms of addiction or abuse, as well as widely accepted medical uses. Some schedule 4 or 5 drugs are valium, sedatives, codeine, xanax, or tranquilizers. When facing drug trafficking charges, it is first important to know what schedule the drug in question falls under as this will greatly determine the charges and punishments that may be received upon conviction. When a person is facing drug trafficking charges involving a schedule 1 drug, they will also be facing the harshest drug trafficking penalties. Drug trafficking charges may be faced if the amount of schedule 1 drugs found on a person exceeds 4 grams, and trafficking an amount of drugs between 4 and 14 grams can result in being charged with a category B felony. These felony charges can come with punishments including 1 to 6 years spent in a Nevada state prison as well as up to $50,000 in fines. If a person is found with an amount of schedule 1 drugs that is between 14 and 28 grams, they will then face a category B felony that comes along with higher penalties. Being charged with trafficking this amount of a schedule 1 drug can lead a person to face 2 to 15 years in a Nevada state prison as well as fines not exceeding $100,000. Those who are caught with schedule 1 drugs exceeding an amount of 28 grams will face the harshest drug trafficking charges possible. These category A felony charges will come with penalties such as 25 years to life in prison as well as a fine not exceeding $500,000. Charges stemming from trafficking schedule 2 drugs will carry slightly more lenient penalties than schedule 1, although both will be at the felony level. A person found to be trafficking an amount of a schedule 2 substance that is greater than 28 grams but less than 200 grams will face a category C felony in the city of Las Vegas. This felony charge will come with punishments such as 1 to 5 years in a Nevada state prison as well as up to $50,000 in fines. If a person faces drug trafficking charges stemming from the possession of between 200 and 400 grams of a schedule 2 controlled substance they will then face a category B felony charge. A category B felony charge will carry harsher penalties than a category C felony charge, and those facing a conviction on these charges can expect to receive 2 to 10 years in a Nevada state prison as well as $100,000 in fines. If a person is found to be trafficking more than 400 grams of a schedule 2 controlled substance, they will then face the harshest penalties given for trafficking this schedule of drug. Trafficking this amount will warrant a category A felony charge and if convicted a person may expect to receive 15 years to life in prison as well as a fine of up to $250,000. When facing drug trafficking charges in the city of Las Vegas, it is always important to seek the assistance of a lawyer who specializes in defending their clients during drug crimes related trials. These professionals in law know all of the assorted drug crimes laws in the city of Las Vegas, and they will be able to craft an appropriate defense suitable for their client’s specific needs. Drug trafficking related charges carry steep penalties, making it important that those facing these charges take the opportunity to hire a professional to make the most of their case. Do not hesitate to contact our Las Vegas criminal defense law firm. Call (702) 380-4199 for a free consult. We help those facing all types of criminal, DUI and traffic offense charges in Clark County, Nevada. This includes Las Vegas, North Las Vegas, Laughlin, Henderson, Primm, Mesquite, Sloan, Jean, Arden, Nelson, Boulder City, Mountains Edge, Reno, Spark & Carson City.